I have gotten a lot of request for a tutorial how to make mod menu but haven't got time and almost forgot it. I had to pause all my other protects and start working with this tutorial straight away. Go to https://store.unity.com/ and select "Try personal". It is completely free. Download and install it. If you like to have Visaul Studio 2017 installed, make sure to select it in installer. If not installed, you will use MonoDevelop. 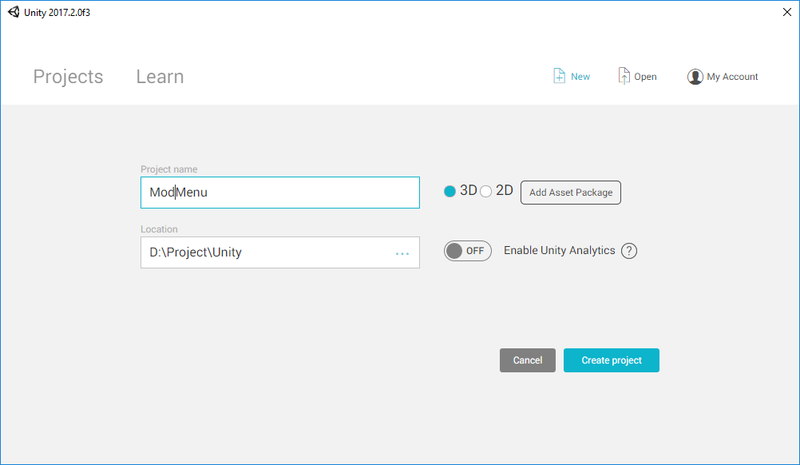 Launch Unity, login with your account and complete your survey. After that you can create a new project. Name it you want and keep 3D selected. Click "Create project"
Drag your script and drop on top of Main Camera below Untitled to make sure your script is shown in game scene. Tip: While you programming, you can click play and edit code while the game scene is running. The editor will freeze a while when you open it. Create a button " SHOW/HIDE"
GUI.Button(new Rect(20, 20, 160, 20), "SHOW/HIDE"
This is a tricky part because there are many ways to add your own code like adding OnGUI method on any classes (Loading, LoadingScreen, MainMenu, etc…) or add code on existing OnGUI methods. In this example, I will create OnGUI and add my code in UserInterfaceManager on Super Dungeon Bros.
Find an active class or search "Loading" and pick one of loading method. In my example, I picked DisplayLoadingScreen located in UserInterfaceManager. Right click on UserInterfaceManager and create a method. Name it OnGUI and click OK.
You can paste your code here and compile it. Add your whole code and name your class. 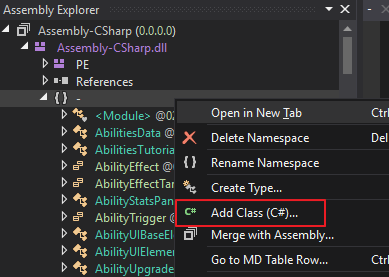 Make sure you add public and static modifier like below so other classes can access the fields. Your method name must not be called OnGUI, call it MyGUI or whatever. 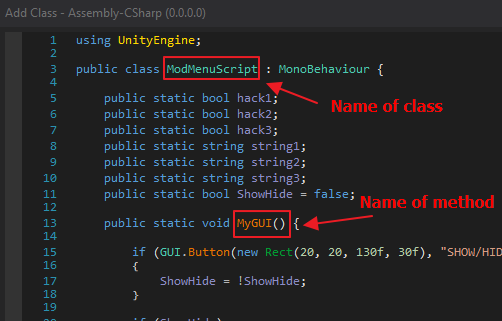 It is to avoid confusion with another OnGUI since Unity always read something if it recognize OnGUI methods. if you don't add static modifer, you will get an error "An object reference is required for the non-static field, method, or property '<code>'"
There are other ways to hack it but these methods are the best way to hack for beginners.